This is the story of Billy Gene Malone and the end of an era. 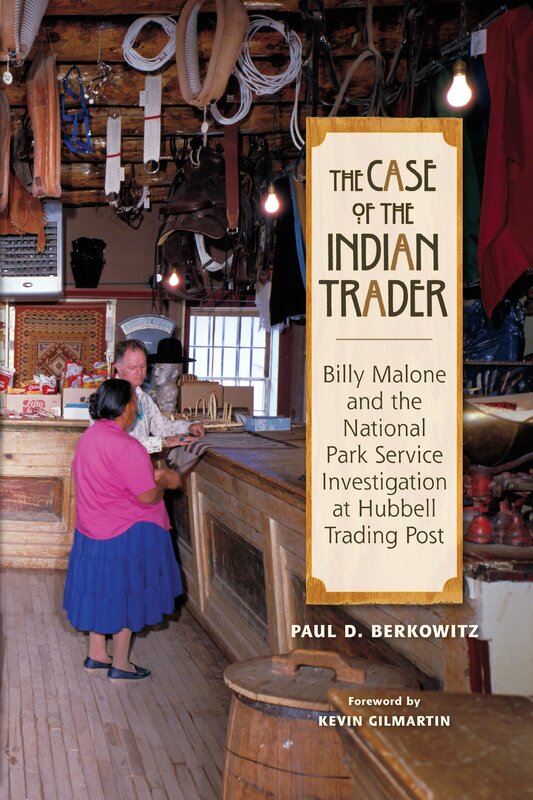 Malone lived almost his entire life on the Navajo Reservation working as an Indian trader; the last real Indian trader to operate historic Hubbell Trading Post. In 2004, the National Park Service (NPS) launched an investigation targeting Malone, alleging a long list of crimes that were "similar to Al Capone."" In 2005, federal agent Paul Berkowitz was assigned to take over the year- and-a-half-old case. His investigation uncovered serious problems with the original allegations, raising questions about the integrity of his supervisors and colleagues as well as high-level NPS managers. In an intriguing account of whistle-blowing, Berkowitz tells how he bypassed his chain-of-command and delivered his findings directly to the Office of the Inspector General. Paul Berkowitz is a retired criminal investigator for the National Park Service. He finished out his career working as a supervisory special agent in Chinle, Arizona, on the Navajo Reservation.